This is a random combat robot once built by Doctor Doom. It attacked the Fantastic Four in a 1974 story, and that’s about it. However I though it looked pretty cool when I was a kid, so it deserves a writeups.org profile. Group Affiliation: Agent of Doctor Doom. Base Of Operations: Wherever Doom puts it. Height: About 6’2” Weight: Unrevealed. The Seeker is a combat robot with superhuman strength and toughness. It has nuclear discharger prods instead of hands, allowing for charged melee attacks. It also has an electronic eye on his forehead to track people or things. The Seeker is one of Doctor Doom’s robot projects. It was sent to track down the Fantastic Four when they were attempting to infiltrate the Baxter Building from the sewers (long story). The early phases of the fight went pretty well for the Seeker as it had blindsided the heroes. However it was quickly neutralized by the Thing once the FF regained the initiative. It looks like a cybernetic lizard man with triple-barrelled gun hands. Robots don’t get any cooler – or at least that was my opinion when reading the story. But then I was about 9 years old. Hunter-killer robot with no personality. It never backs down, and its speech routine is intended to make him sound real deadly. There are dashes between the words it speaks, presumably to denote a robotic voice with short pauses between words. 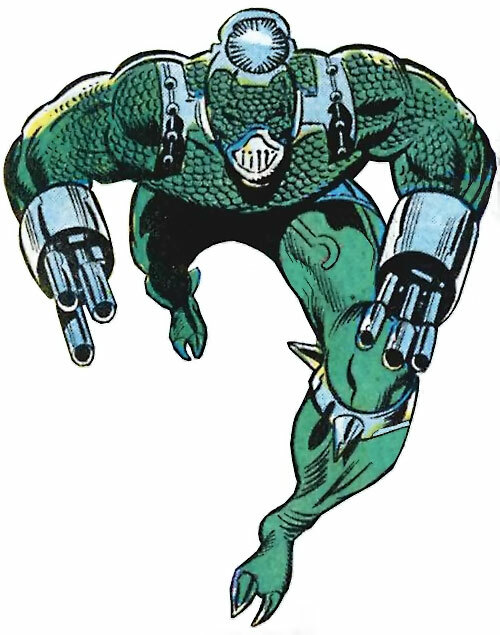 Seeker robots could be used on Apokolips – they have about the right look to them. Energy blast has No Range. Life sense can be used to negate any penalty linked to invisible characters, lack of visibility, etc. (+2). Life Sense can be used to identify and track specific targets (+1). CIA (follow his programming), SPR (no manipulative hands). 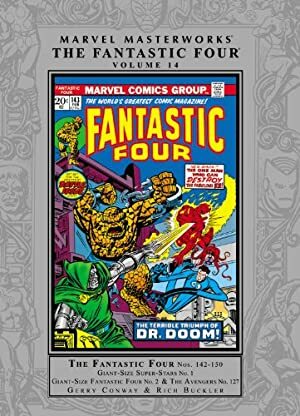 Source of Character: Fantastic Four #144 (Marvel comics). Helper(s): Advanced Marvel SHRPG supplement ; Robert Barton.